I am sure at one time or another you have heard of the RPG maker series that has been available on PC for many years. Well, fear not! NIS America just announced that RPG Maker MV is being released for the Nintendo Switch, PS4, and Xbox One in 2019! 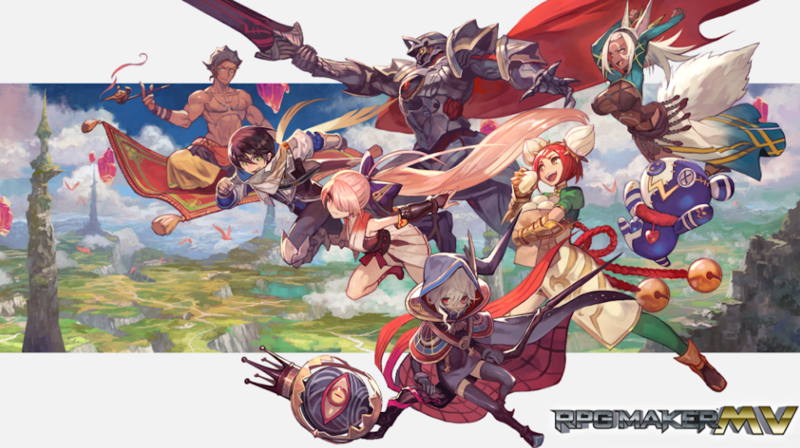 RPG Maker MV is the latest RPG Maker and is currently available on both Mac, PC, and Linux! Below is the description of the game from the Steam Store. POWERFUL enough for a developer SIMPLE enough for a child VERSATILE enough for any platform! RPG MAKER MV allows you to make the RPG of your dreams! This latest version includes a host of new features and export options for MacOSX, Android, and iPhone! It currently has over 1650 “Very Positive” reviews on Steam. Below is the full press release for the game! You can also check out the announcement trailer at the bottom! NIS America is thrilled to announce their partnership with KADOKAWA CORPORATION to bring RPG Maker MV to Nintendo SwitchTM PlayStation®4, and Xbox One! The RPG Maker MV Player app will also be available for free download at launch for users to play games created by others. Like its predecessors, RPG Maker MV allows aspiring game developers and storytellers to make their very own video game. With a large variety of assets and customization options, RPG Maker MV is the most powerful game development software for creative minds everywhere! An epic journey begins… with YOU! Become a master game developer with RPG Maker MV. With an assortment of tools at your fingertips, create elaborate, exciting, and memorable video games straight from your console! Then, share your adventures online with other players, who can enjoy your epic chronicles! The possibilities are endless with the latest and greatest RPG Maker software. With hundreds of assets and an infinite number of ways to create your game, turn your dream tale into the next greatest video game! Your Next Adventure Begins Here – A high fantasy tale of knights and dragons? A modern story of high school romance? A chronicle of gods and demons? If you can dream it, you can make it! Game Development Made Easy – Say goodbye to complicated coding! This software provides ease of navigating and development with straightforward world and character creation, overworld customization, and more! Make, Upload, Play! – Enjoy games made by fellow gamers with the RPG Maker MV Player, free for download and play, even without the RPG Maker MV game! An Endless Fountain of Customization – With hundreds of graphical assets and an infinite number of possibilities to create your very own world and story, the sky’s the limit! In addition to the game software, gamers will be able to download the free RPG Maker MV Player app that allows them to play anyone’s creation online, with or without the game! Next story PC players join the hunt when Monster Hunter World Arrives Next Month! Previous story Mobile Suit Gundam Live Action Movie Announced at Anime Expo 2018!